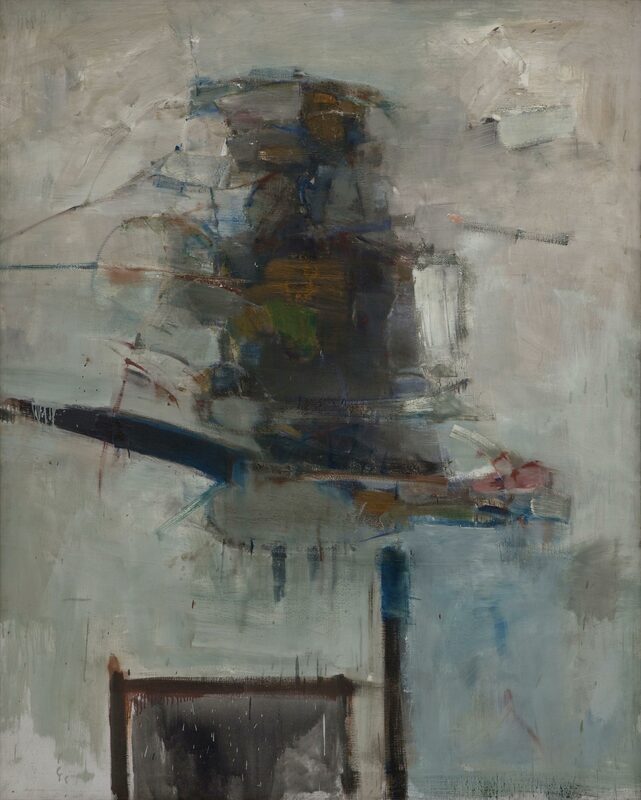 Portrait of a Spanish Poet is an abstract expressionist painting by the Ferus Gallery–affiliated artist John Altoon. It displays the fervent and deliberate brushstrokes and mark making that the artist became known for. Altoon was born and raised in Los Angeles, and attended the Art Center School (now Art Center College of Design in Pasadena), Otis Art Institute, and Chouinard Art Institute. He lived and worked in Venice and was a friend of the sculptor Fred Eversley, to whom his wife gave Altoon’s studio upon his death. "Portrait of a Spanish Poet." Now Dig This! Art in Black Los Angeles, 1960–1980 Digital Archive. Los Angeles: Hammer Museum, 2016. https://hammer.ucla.edu/now-dig-this/art/portrait-of-a-spanish-poet.